A recent study published in the Journal of the American Geriatrics Society found that elder abuse amongst Latino seniors is seemingly more prevalent than in the general elderly population. 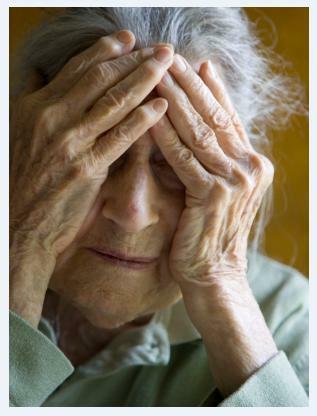 The study, conducted by the University of Southern California Davis School of Gerontology, surveyed seniors via door-to-door questioning on randomly selected, primarily-Latino blocks in the Los Angeles area, asking about experiences with elder care and abuse. What they found was startling. Nearly 40% of Latinos age 65 or older included in the study reported that they had been victims of elder abuse or neglect in the past year, however only 1.5% of those individuals reported the crimes to authorities. Moreover, nearly half of the respondents who stated they had been abused noted that their abuse involved severe physical assault. Meanwhile, 9% reported sexual assault, 11.7% reported they were victims of neglect and 16.7% reported incidents of financial exploitation; all serious offenses. However, the study also concludes that these seniors are less likely to report abuse based on cultural norms, language barriers, or fear of authority where immigration laws may come into play. Home care agencies catering to ethnically diverse populations can play a key role in helping to reduce the incidence of elder abuse and neglect. For example, a home care agency that hires bi-lingual caregivers with experience in Lationo culture, often from their own background, can use their specialized caregivers to market services to Latino senior communities, who otherwise may be more likely to hire private caregivers who have no agency oversight. Additionally, home care agencies can market the power of technology within their agency, such as home care systems, or a home care software, like ClearCare, to monitor the care of Latino seniors. Task reminders within home care systems, and home care software that requires telephony clock-ins ensure that seniors are not neglected and that care plans are constantly adhered to; leaving little room for suspicious activity amongst caregivers being closely monitored by diligent administrators and home care systems. Another benefit of home care systems and home care software for working with Latino communities is the ability to log preferences and special needs. Language needs, religious beliefs and even favorite foods can be easily logged and tracked in home care software, allowing administrators to use their home care systems as an efficient tool to match Latino clients with caregivers who are not only well trained, monitored and trusted – but also a good match based on personality, skill and cultural interest. No senior deserves to suffer at the hands of a caregiver; and a reliable home care agency using the technology of home care software and home care systems, like ClearCare, to manage their services can help keep Latino seniors safe at home.